Mini Mansions - 'Freakout!' live for Revolt TV. To promote the release of their new album 'The Great Pretenders', Mini Mansions recently appeared on Revolt TV to perform their single, 'Freakout!'. P.S. Click HERE to read our recent MM interview. MusicMini Mansions - 'Honey, I'm Home' music video. MusicListen: Mini Mansions' latest B-side, 'Feds'. 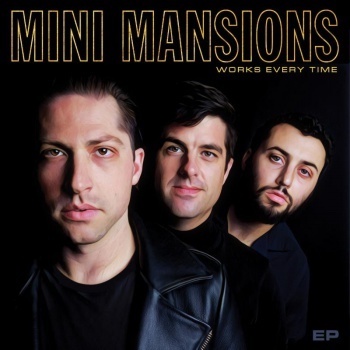 MusicMust-listen: Mini Mansions feat. Alex Turner - 'Vertigo'. MusicMini Mansions - 'Creeps', 'Vertigo' and 'Freak Out' live for 3voor12.